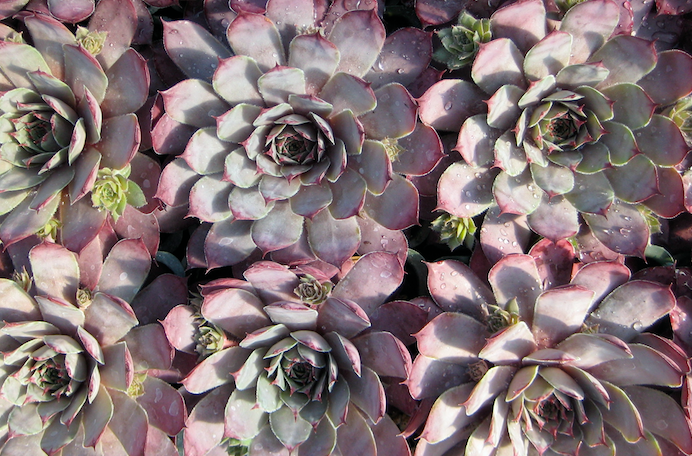 Collectively this handsome Hens and chicks is one of our favorites. Soft pink to lavender and tipped with purple in cold weather. Nice. Large rosettes to 5″ across when happy. Boisterous multiplier and forming large colonies quickly. 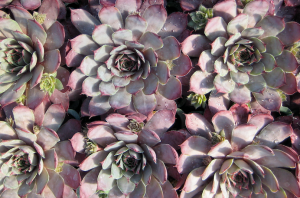 Rich, well drained soil with regular water to keep up appearances. Containers, rock walls, rock gardens, as a small scale weed smothering ground cover. Full sun to light shade. Even dry shade when established. Detach the babies and give them to a friend. Or chuck them at a Trump voter. Pretty plant. High deer resistance.